Hey everyone! 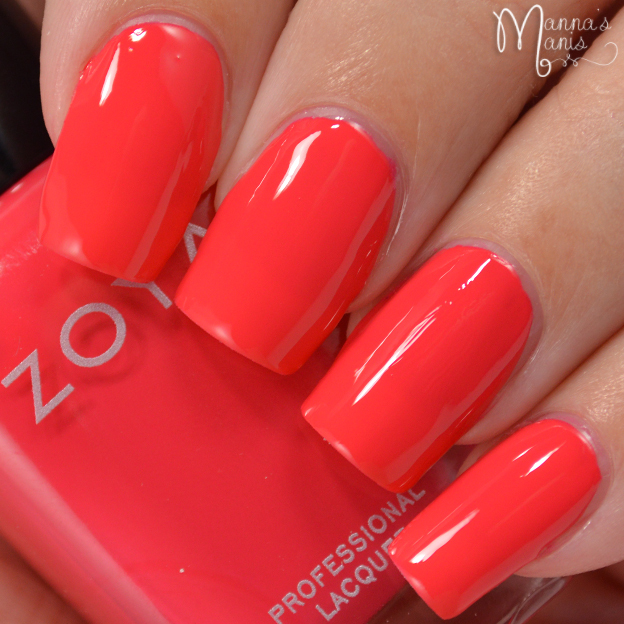 Zoya has released 2 stunning collection for summer. The ones I'm showing you today are the cremes, I'll be bringing you the Pixie Dusts on Wednesday, so stay tuned for those! Brynn is described as a "Popsicle pink with a densely saturated, buttery smooth application. The epitome of happy carefree color!" Zoya promoted these are 1 coaters, but it took 2 coats for full opacity here! Cam is described as a "Deep, fully saturated orange with a densely saturated, buttery smooth application. Rich and juicy like a ripe tangerine!" This also took 2 coats for full opacity for me. Dixie is described as a "Juicy watermelon red with a densely saturated, buttery smooth application. A cool treat for hot summer days!" It was hard for me to perfect the color accuracy here. I have a feeling most people's swatches are going to vary in color. Dixie is just one of those colors that is so hard to capture! Shown is 1 coat. Dory is described as a "Vibrant cornflower blue with a densely saturated, buttery smooth application. Get ready to rock the waves!" Probably my favorite from the collection, it's such a beautiful color! Shown is 1 coat. Liv is described as a "Fun-filled purple that is seriously saturated and makes a statement! Great on any skin tone, with or without a tan." Shown is 1 coat. Ness is described as a "Softened jade green with a hint of blue to make it wearable for all skin tones. Reminiscent of sea glass found on your favorite beaches!" I'm going to say it's named after the Loch Ness monster lol. Shown is 1 coat. Final thoughts: Fantastic creme collection! Although they are marketed as 1 coaters, I did need 2 coats for a couple of them. It all depends on how you apply, and if you like coats thick or thin. My picks: Dixie & Brynn. 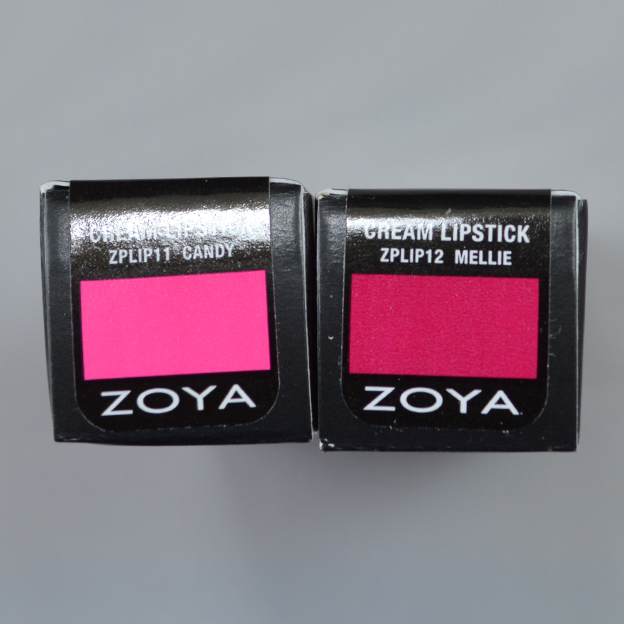 Zoya also included these 2 lipsticks in Candy & Mellie. I didn't swatch them because I plan on having a giveaway with them soon, as I don't wear lipstick so I think they deserve a happy home with someone who does. $12 each. 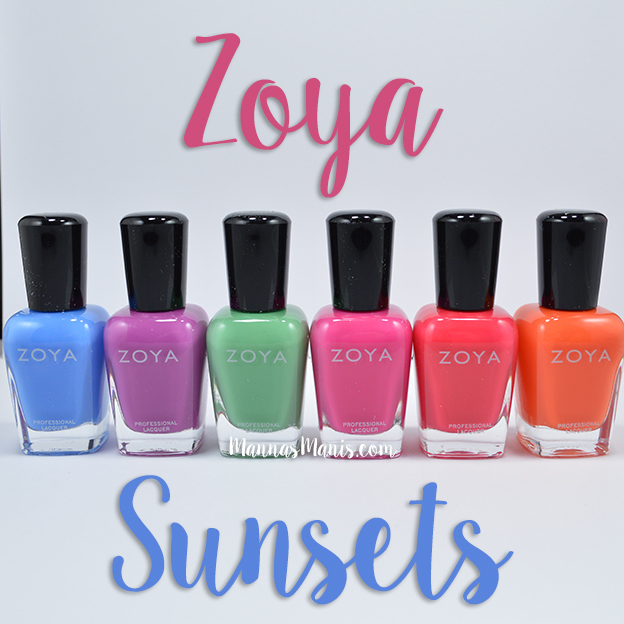 Sunsets can be purchased on Zoya.com for $10 individually or $54 for the set of 6. The Sunsets Summer Lips & Tips Quad includes 3 nail polishes and 1 lipstick for $18. 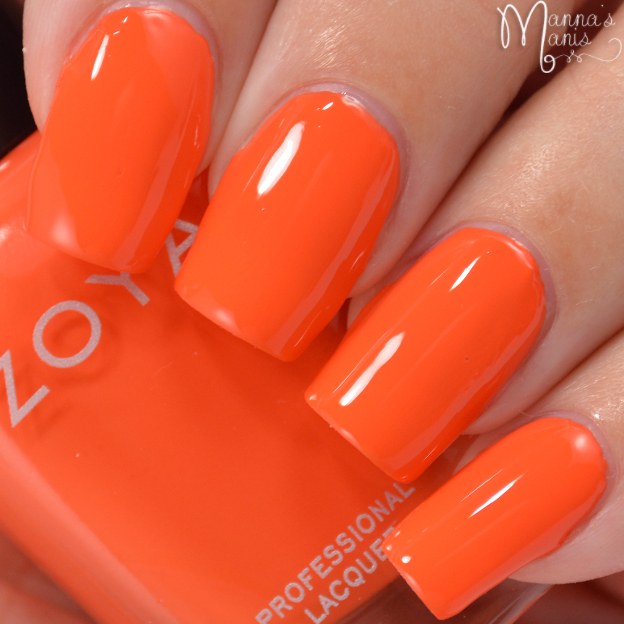 Don't forget to enter the Zoya giveaway! ENTER HERE.